Arrive at Mumbai airport and transferred to hotel. Check in the hotel and relax for some time. Rest of the day is at leisure for your individual activities. Overnight stay at the hotel. 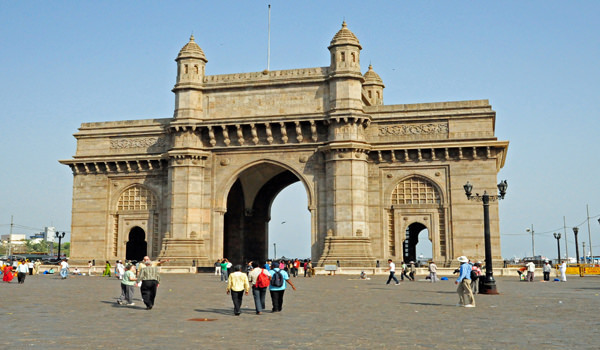 After Breakfast proceed to full day sightseeing of Mumbai which include Gateway of India – the most famous colonial landmark in the city, Prince of Wales Museum – one of the most eclectic museums in India, Hanging Gardens, Victoria Rail Terminus, Marine drive and Marine drive. After Sightseeing back to the hotel. Evening is at leisure for your individual activities.Overnight stay at the hotel. After Breakfast check out the hotel and proceed to Mumbai airport to board a flight to Indore. On arrival at Indore airport you are transferred to hotel. Check in the hotel and relax for some time. Rest of the day is at leisure for your individual activities. Overnight stay at the hotel. After Breakfast proceed to full day sightseeing of Indore which covers Lal Baag Palace, Bada Ganapati, Kanch Mandir, Krishnapura Chhatris and Gomatgiri. After sightseeing back to the hotel. Evening is at leisure for your individual activities. Overnight stay at the hotel. After breakfast check out the hotel and proceed to Mandu. On arrival check in the hotel and relax for some time. 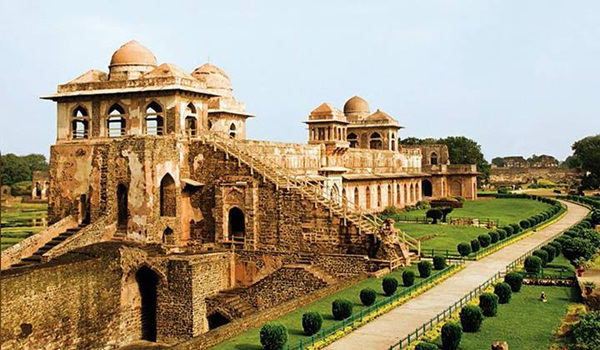 Later proceed to half day sightseeing of Mandu which covers Jahaz Mahal, Hindola Mahal, Houshang’s Tomb, Ashrafi Mahal and Rupmati’s Pavilion. After sightseeing back to the hotel. Evening is at leisure for your individual activities. Overnight stay at the hotel. After Breakfast check out the hotel and proceed to Ujjain. On arrival check in the hotel and relax for some time. Res of the day is at leisure for your individual activities and you can also explore the surrounding of Mandu on your own. Overnight stay at the hotel. After Breakfast proceed to full day sightseeing of Ujjain which includes Mahakaleshwar Mandir, Vedha Shala, Navgraha Mandir and Kal Bhairav Mandir. After sightseeing back to the hotel. Overnight stay at the hotel. After Breakfast check out the hotel and proceed to Bhopal. On the way visit the carved dream of King Bhoj at Bhojpur and also witness the homes of the prehistoric cave dwellers at Bhimbetka. On arrival at Bhopal check in the hotel and relax for some time. 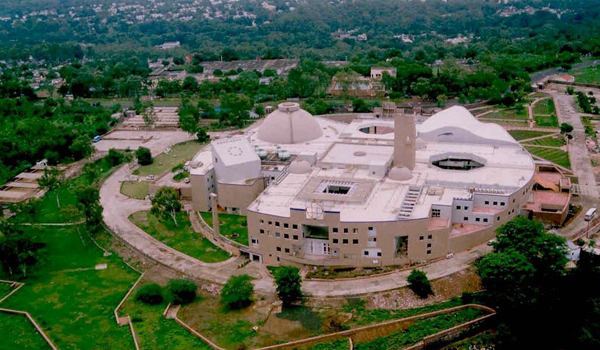 Later proceed to half day sightseeing of Bhopal which include Bharat Bhawan, Indira Gandhi Rashtriya Manav Sangrahalaya, Laxminarayan or Birla Temple, Upper & Lower Lake and Jama Masjid. After sightseeing back to the hotel. Overnight stay at the hotel. 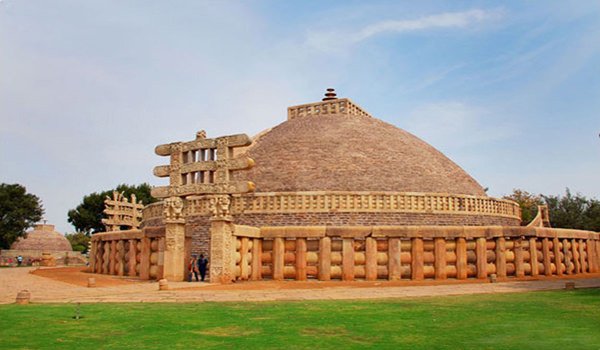 After Breakfast visit Sanchi – Sanchi is founded in the third century by Emperor Ashoka to house relics of Buddha. Visit the archaeological site, the Mecca of Indian Art: Main Stupa, magnificent monument in the shape of a half-sphere on recounting his torana the life of Buddha museum with remarkable statues of Buddha, stupas and other Buddhist monasteries. After sightseeing back to Bhopal. Later take a half day sightseeing of Bhopal which covers Bhopal museum, Taj-ul-Masjid, Birla temple and the Jama Masjid. After sightseeing back to the hotel.Overnight stay at the hotel. After Breakfast proceed to full day sightseeing of Pachmarhi which includes Bee-fall, Dhoopgarh, Jata-shankar, Panar Pani, Pandav Caves, Gupt Mahadev cave, Bade Mahadev, Reechgarh, Handi Khoh, Priyadarshini, Duchess fall, Apsara Fall and other attractions. In evening back to the hotel. Overnight stay at the hotel. After Breakfast check out the hotel and proceed to Jabalpur. On arrival at Jabalpur check in the hotel and relax for some time. 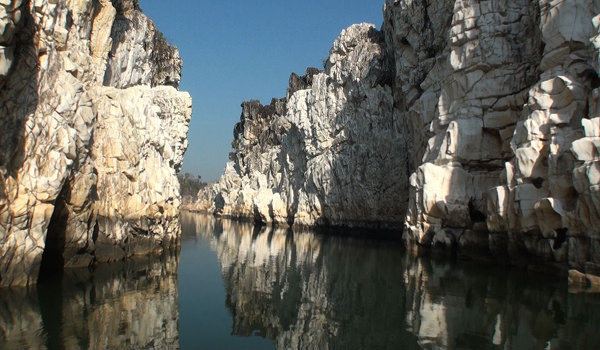 Later proceed to half day sightseeing of Jabalpur which include Dhuandhar Falls, Marble Rocks and the Chausath Yogini temple. In evening back to the hotel. Overnight stay at the hotel. After Breakfast check out the hotel and proceed to Jabalpur airport to board a flight to Delhi. On arrival at Delhi airport you are transferred to hotel. Check in the hotel and relax for some time. Rest of the day is at leisure for your individual activities. Overnight stay at the hotel. After Breakast check out the hotel and proceed to Delhi airport to board a flight for your onwards journey.